VBS India Ltd. unsurpassed leaders in the area of Multi-Level Marketing are today a name to reckon in the Indian market. The company is the flagship of the renowned Vraksha Group that enjoys a successful track record in the MLM field. It has thus inherited from its rich legacy and expertise in product selection, up gradation and processing brand name "SAVE LIFE" a name that stands for Quality and trust with reliability. The Company has tied with Reliance for their products. Our Company has been approved and listed as the Member of the World Direct Selling Association-USA. When down line gets 1:1 ceiling you will get Rs.4,000 as extra income. 1) Reliance Family Mediclaim (2 Lakhs). 2) Reliance LG-CDMA Mobile without connection (Rs.300 extra). 3) Reliance Home Protect Insurance (7 Lakhs). 4) Reliance Individual Mediclaim valid for two years. 6) Reliance (VIMAL) Suit Length. 8) Reliance (VIMAL) Salwar Material. 9) Reliance Rs. 12,000 Automatic Investment Policy. 10) TATA Sky DTH-VPP (Rs.500 extra). 11) TATA Sonata wrist watch (Ladies or Gents). 13) Sony Ericsson Mobile-(Rs.1,000 extra). 14) TCL /LG/ Samsung DVD player [(whichever stock is available) (Rs.1,400 extra)]. 15) Pigeon 4 level Water Purifier (Rs.700 extra). 16) Noni - 500mg x 60 Capsules (3 bottles). 17) Spirulina - 1000mg x 60 Capsules (2 bottles). 18) Wheat Grass health powder 100 mg x3 Boxes (300gms). 19) Green Tea -120 Sachets (4 boxes). 20) Aloe Vera Facial Pack. 21) V-Cook or Jodiac Automatic Induction Cooker-(Rs.1,300 extra). Induction Cooker available for Mangalore and West Bengal only. (Please note: other products VPP Rs.150 extra). Itâï¿½ï¿½s a New MLM and a Public Ltd Company, and also it's only Company that gives value for your money. 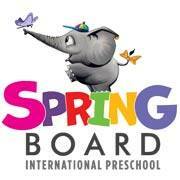 Looking for preschool franchise in tirupati?